Lucie Koch has joined Global People Transitions for an internship and will be sharing her internship experiences in a regular blog journal. While I have driven all the way up to the North of England during my last bachelor year with only six months of countryside driving experience (let me assure you, the stress was intense), I, and it seems to be the case for many young people of my age, have never felt as anxious and simultaneously excited at the prospect of starting my professional career. My internship at Global People Transitions started a little more than one month ago and, for now, I still have one foot in the academic system and the other one in the professional system. Knowing that I am about to step out of the apparently safe bubble of the academic world is becoming more real every day. However, I know that this apprehension is a globally experienced side-effect of change and I am going to be fine. This said, the professional discovery experience is an exciting (and scary) experience, especially when starting in an international or foreign company, or when considering how young Europeans of my generation have been reminded for years about the high unemployment rates and economic crisis. Writing about my experience may help students about to take their first step in the professional world to feel less stressed about the change and professionals understand the young interns. The first challenge I faced was intercultural. Indeed, while I am of Swiss nationality, my ideas about work, are mostly shaped by the French education system and experience through personal relations in France. Therefore, I was quite insecure about the professional culture proper to Switzerland. Secondly, there is the fact that the Global People Transitions team is very diverse in its cultural backgrounds. However, due to my intercultural experience and interculturality centered studies, it was easy to adapt to this. The real intercultural shock for me was more about academical vs professional culture. Indeed, the differences in behavior, expectations, jargon and directness, are always a challenge to adapt to, especially in a secondary language. I would argue that it might be harder or at least as hard to adapt to a new ‘working’ culture than to a new national culture, especially in a global environment. It is especially complicated in a digital work team, as one can’t rely on tone and physical expression hints. Culture Shock Theory, which is used to explain and educate people about the social, physical and emotional challenges which people face during and international mobility, could be used in my case too. Indeed, there is the initial ‘honeymoon’ phase, when one is excited about more autonomy, earning money, meeting new people, moving to a new place. Then come the first stressful situations, negative experiences, the disappointment of big expectations, or the nostalgia of old habits, life and friends can lead to a low (more or less hard depending on everyone’s experience). Adapting to the new environment is essential and it is not limited to a change of country. However, what I discovered in the first month of my internship, is that there is no need to be anxious and that some intercultural communication failures are bound to happen, may it be because of a nationality difference, a professional culture difference, or even a generational difference. The apprehension is normal but the growth that one gains in the professional experience is worth the harder parts. I hope that you enjoyed this read! 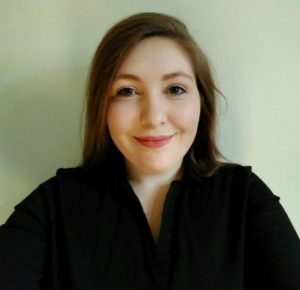 Lucie Koch is intern at Global People Transitions since April 2017. She is about to graduate from an Intercultural Management Master study, which led her to study in Dijon, France, a city she was already familiar with and in unfamiliar Finland (for one semester). Previously, she studied one year at Durham university (UK) as part of a Bachelor Erasmus Mobility program. She was born in 1994 to Swiss expat couple in France. She grew up in the French countryside, around horses. She’s a self confessed introvert, fascinated by different languages, cultures, science (especially astronomy and biology) and philosophy. She also likes to spend time drawing, painting or in cinemas.